Submitted articles published by The Guardian, The Observer and Granta. 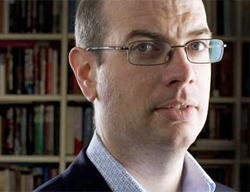 Declan Walsh is The Guardian’s foreign correspondent for Pakistan and Afghanistan. 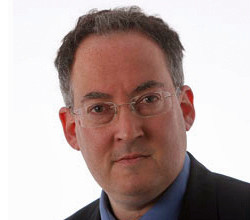 David Cohen is the chief feature writer at the Evening Standard. Submitted items published by the Sunday Telegraph, The Guardian and The Spectator, and broadcast by Channel 4 (with Steve Boulton and Jane Drinkwater). 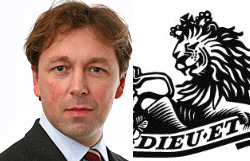 Andrew Gilligan is Telegraph’s London editor. He writes, among other things, about London, Westminster and politics. 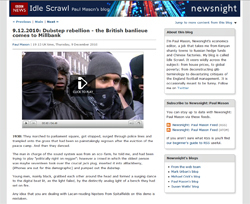 Why does the BBC air Islamist propaganda? London editor for the Sunday Telegraph. He writes, among other things, about London, Westminster and politics. Rory Carroll is south America correspondent for The Guardian. His submitted articles were published by The Guardian and The Observer. 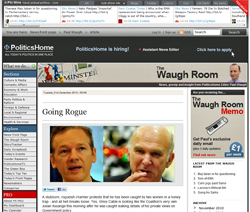 Submitted blogposts published at Paul Waugh (Evening Standard) and The Waugh Room (PoliticsHome). Paul joined PoliticsHome (as Editor) from the Evening Standard where he was Deputy Political Editor and wrote an award-winning news blog. Prior to that he was Deputy Political Editor of The Independent. Will Gove axe all specialist schools? Is George Osborne really Gordon Brown? 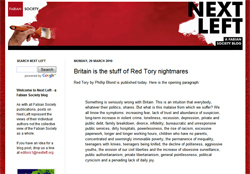 Submitted blogposts published by Next Left, The Staggers (New Statesman) and Left Foot Forward. General Secretary of the Fabian Society, the leading centre-left think-tank and political society. Previously a leader writer at The Observer, research director at the Foreign Policy Centre and commissioning editor at Macmillan. So, does ANYBODY count as truly British, Mr Dacre? Don’t overestimate David Cameron: the big political lesson of 2010? I’m Paul Mason, Newsnight’s economics editor, a job that takes me from Kenyan shanty towns to Russian hedge funds and Chinese factories. My blog is called Idle Scrawl. It veers wildly across the subject: from house prices, to global poverty; from deconstructing glib terminology to devastating critiques of the England football management. It is occasionally meant to be funny. Submitted articles published by Standpoint, The Spectator, Literary Review and Wall Street Journal Europe. 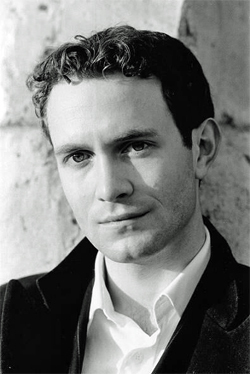 Douglas Murray is a bestselling author and political commentator, and director of the Centre for Social Cohesion. He is the co-author of ‘Hate on the State: How British Libraries encourage Islamic Extremism’ and ‘Victims of Intimidation: Freedom of Speech within Europe’s Muslim Communities.’ His books include Neoconservatism: Why We Need It. 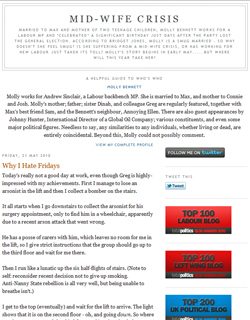 Murray regularly appears in the British and foreign press and media. A columnist for Standpoint magazine, he writes for a variety of other publications, including the Sunday Times, Spectator and Wall Street Journal. He blogs at the Daily Telegraph. Why can’t anyone take a joke any more? Submitted articles published by Prospect, Guernica, The Observer, The Guardian and the New Statesman. 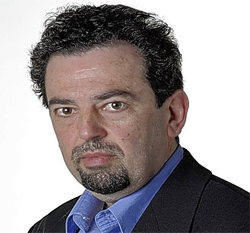 Jack Shenker is a London-born journalist who reports for The Guardian from Egypt. His work has covered India and Nepal, Central Asia, the Balkans, the US and Gaza, and has been published in a wide range of magazines and newspapers across the globe – including The Times, The Independent, the New Statesman and Monocle. He is currently based in Cairo and London. I was, for a while, just Anton Vowl, but in October 2010 I decided to end all of that. I enjoyed writing under an assumed name as it gave a lot of freedom to be experimental and not to worry about being judged against whatever I’ve done in my ‘real’ life, but there comes a time when you feel like you have to just be yourself and not be afraid of the consequences, good or bad, of putting your own stupid giant face and your own rather bland name next to the things that you write. So, I’m Steven Baxter, a not-very-good journalist from London, now based in Bristol, and a blogger on the media, and other stuff, here at Enemies of Reason. 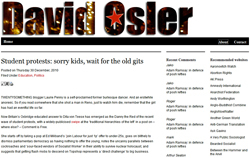 I started the blog back in 2007 as I was fed up with being drip-fed the same old nonsense, telling me things I knew were misleading or untrue, pushing certain stories at the expense of others, and feeding fear. I thought to myself: surely, there must be some room somewhere for an alternative voice? And I found it online, in blogs like Five Chinese Crackers and Chicken Yoghurt and Obsolete. 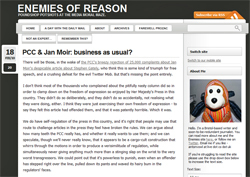 PCC & Jan Moir: business as usual?